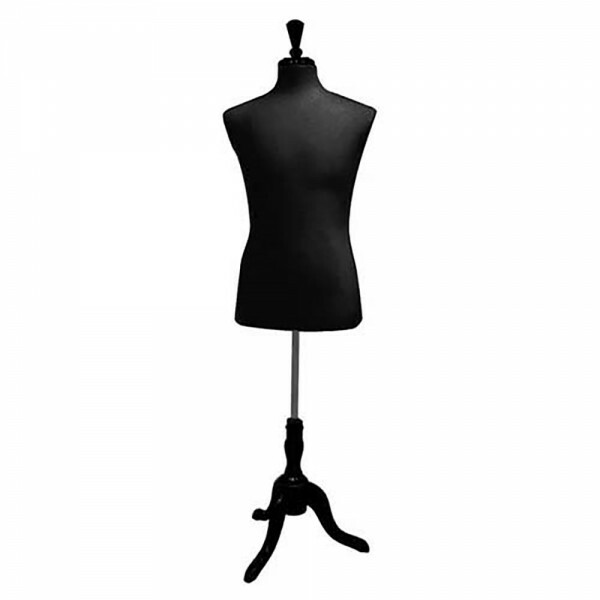 A men's form torso mannequin covered in soft black cloth. This mannequin's metal stand and black wooden base adjusts from 5' to 6' and 3". Adjusts from 5' to 6' and 3"